The exam really focused on a methodological approach, testing process knowledge and the use of tools, rather than sending you down a rabbit hole and misdirecting you. 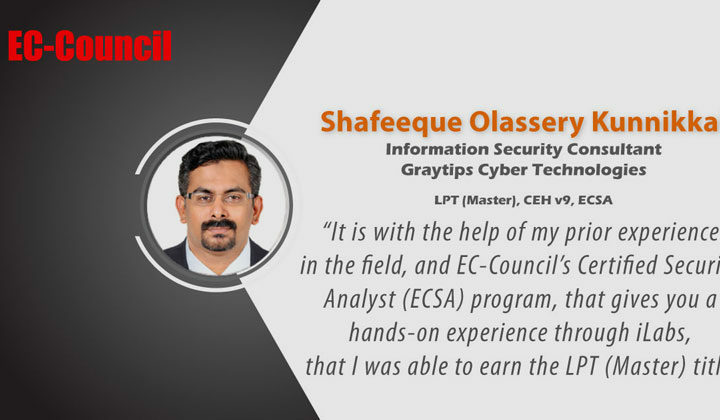 For this reason, I strongly suggest having prior experience in Penetration Testing, to ensure that you are familiar with the tools on a real network, and more importantly, that you are familiar with ‘Report Writing’, so that you know what screenshots to capture during your exam. 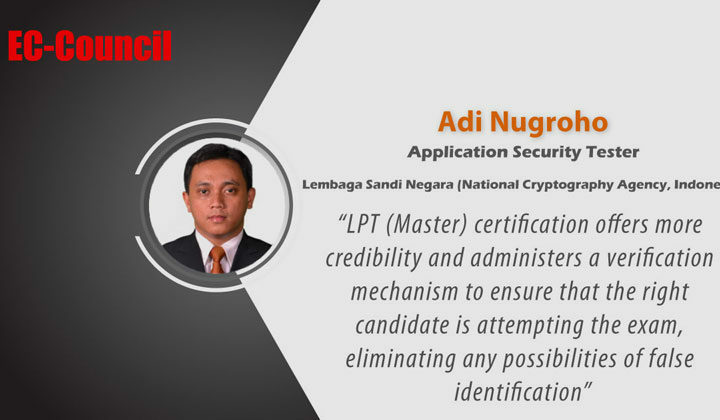 Altogether, I would strongly recommend the LPT (Master) certification, as proctoring is something that I have not seen in any other exam, which is highly beneficial from an employer’s perspective. 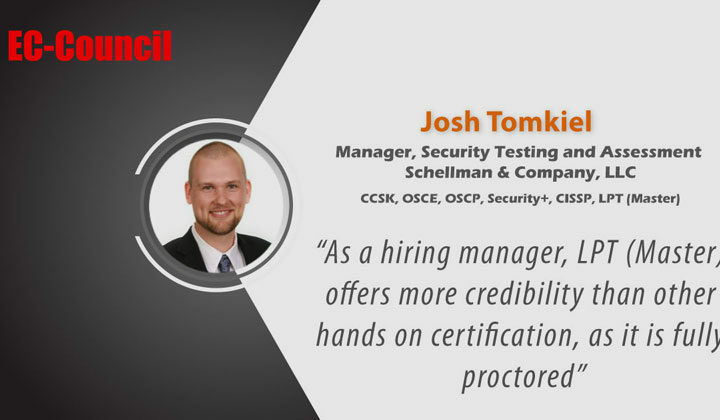 The test also had challenges like pivoting and port forwarding, which is important to know in a real-life Penetration Testing scenario. 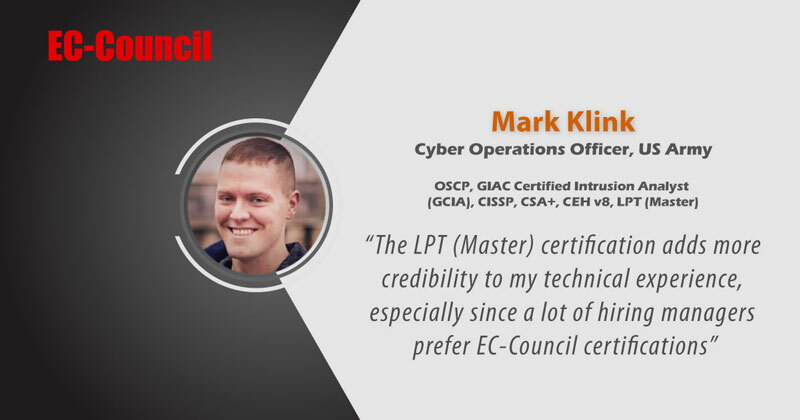 The certification also adds more credibility to my technical experience, especially since a lot of hiring managers prefer EC-Council certifications. 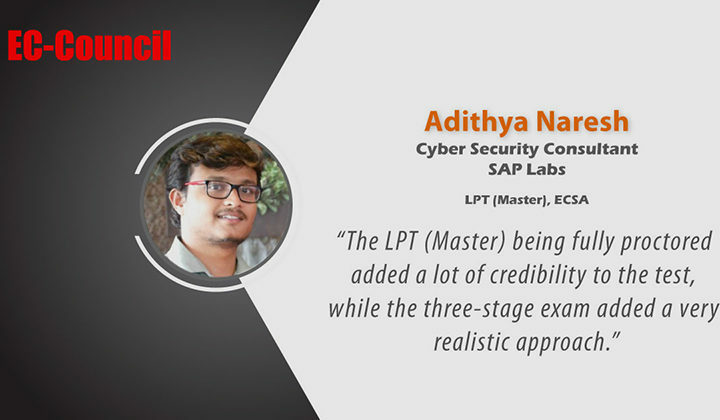 Adithya Naresh – The LPT (Master) being fully proctored added a lot of credibility to the test, while the three-stage exam added a very realistic approach.